My Dentist watches the “Bachelor” and it kind of freaks me out. 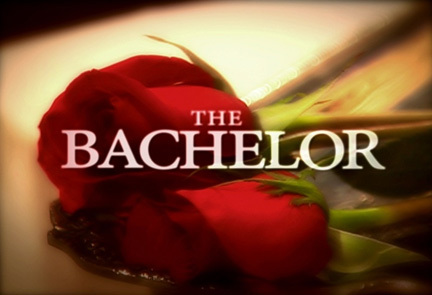 Its bad enough he talks to me when his knuckles are back at my molars, but about “the Bachelor,” really? I admit I’ve watched but I soon grew weary of the roses, the tears, the “connections” and the “most dramatic” everything. Y-a-w-n. The guy’s a doctor and a Big Ten graduate, for Pete’s sake! Is it too much to expect observations on art, culture, restaurants or books he’s reading? Is it too much to hope for friendly bantering on topics of rampant interest? Sports? Politics? or even … Silence? I miss my old Dentist, the one in his 6os who retired last year. His worked on our chops and his wife worked the insurance. I miss his corny jokes about his golf game, how his hair never moved out of place (pretty sure he used Aqua Net), and the predictable familiarity of his mannerisms and those of his long-term staff. This new guy throws me off. Don’t get me wrong, he’s smart and talented and he knows all the latest & greatest techniques. But he has the attention span of a gnat. Sitting in the exam chair Monday, I realized then that I have certain expectations about how health care providers should behave. I don’t mind if they’re younger than me, my family care doctor is. But he’s also poised and polished and … Doctorish. I don’t like it when this guy sprays water at the hygienist and comments that, “I’m a kid at heart!” like that’s supposed to be endearing. It’s not. It’s annoying and even more so when his hands are halfway down my neck and water’s pooling at my shoulders. I probably could cope with it better if we could at least talk about something intelligent. How about you? Do you have certain expectations of medical professionals? Would you happily forgo “advances in modern whatever” just to have a touch of the familiar back again? Aside from the television viewing choices, that thing where your dentist sprays his hygienist with water? That’s just awkward. And why oh why for the love of peanut butter do they ask questions while they know darn good and well I can’t talk with both their hands in my mouth?! I know; awkward and weird. And why ask questions that can’t be answered? And if you’re going to do that, ask something good? What do you think of the current political landscape? How about Facebook’s IPO of a Bazillion $$? I think it’s time for a new dentist…. sounds pretty unprofessional to me. I don’t want my dentist to be “stuffy”, but this one sounds a little over the edge! I’m giving him one more chance to “right his ship” because I do think he does good work .. it’s his personality that needs a fine-tuning. The thing I’m wrestling with is do I tell him as much as I’ve told all of you? Not sure … Thanks, Dianna, for weighing in! Hands down hardest thing about moving is finding the right fit in the medical realm…we’ve moved countries and towns a few times over the years, and I’m still not ok with my current dentist. And, sadly, I’m the type that if I’m uncomfortable I’ll put off that ‘next thing I’m supposed to do’ (like the 6 month cleaning…) cause I don’t want to deal with it/him or her! I’ve never known a dr. long enough for them to retire, but I’m sure it feels the same! … you got that right, Adrienne! We get into a familiar comfort level with our care-givers and I’ve learned to give good feedback when they get it right; I struggle with what to do when they don’t. Still miss my “old” Dentist ~~ sigh!! I hit the jackpot with my dentist. He mumbles so softly I can’t make out anything he’s saying so I just nod along with whatever he’s rambling about. It’s a beautiful relationship. i’m at the age where if doctors and dentists are older than I, they should have retired five years ago. Our long-time dentist packed it in last year. I went to see his partner and the first thing he wanted to do was yank a tooth. I don’t think so. where’s the recent dental graduate???? I had an older guy for a dentist for years until he retired. I now go to his son. He plays old rock (from the sixties), and talks about hunting, fishing, and target shooting, all subjects which I enjoy doing myself. I don’t know what he talks about to the other patients. I think you should kick this guy to the curb. At some point he’s going to have to grow up or totally lose his practice, but you shouldn’t have to be that uncomfortable. you do make an excellent point! My sister is a dental hygienist. I think sometimes dental professionals run out of stuff to talk about, since the “conversation” is inevitably one-sided. Obviously, you can’t talk with their hands in your mouth. Maybe the solution next time is to bite! I have a dental phobia…I do go twice a year because I like my teeth and want to keep them. With my anxiety of “that chair”, your new dude would completely wig me out and I would run out with that clip on bib they give you still attached screaming like a wasp was in my pants. I don’t like your new guy and you may tell him I said so. My dentist is a a cutie young mom with 3 kids. I’m gonna keep her. She knows I get freaked at times and will just start talking about the insanity of 3 little ones and I relax, sorta. Carla your response made me smile; I love that you gave me permission to tell him how you don’t like him – love it! Your Dentist sounds perfect for you. I don’t have a phobia but I should have .. I grew up with well water (no fluoride) and my favorite treat was sticky candy – I have had more fillings replaced – and more crowns – than anyone I know. I’m pretty tolerant of pain and I take care of things .. but being subjected to this last round was too much. I just have to decide what – if anything – I’m doing about it. The spraying water thing would make me really uncomfortable. Yep – you and me both. I wonder how she felt about it? If someone in my office did something that stupid they’d be sued …. wonder if Mr. Fancy Pants Big Ten college educated has considered That? Oh my gosh, did you get the Doogie Howser (may not have spelled that correctly-sorry) of dentistry? Spraying water at the hygenist? Was a hot flash involved – cause if that’s the case, I may be on his side!! LOL. Yes – I do believe I did~! Yes, I have expectations! 🙂 I want my medical professionals to be professional, yet down to earth, friendly with conversation yet able to speak intelligently about my health care needs. I would be annoyed if my dentist were spraying water around the room while I was in the chair. They get paid the big bucks, they should at least try to act the part. Though I try to avoid the dentist at ALL costs (thanks to a HORRIFYING experience with a facemask and wisdom teeth while in the Navy), I thank Bill Cosby for some stress relief when I go. His “dentist” routine is priceless :D. Oh, and I’m with you…The Bachelor? Really? Wait. He squirts the hygienist with water? 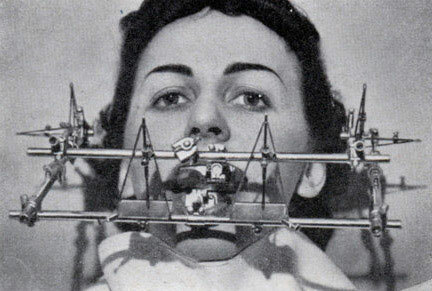 Call me a prude – but I’d be upset and uncomfortable if I was the hygienist. That’s funny! I can see where it would freak you out though.